Some facts and figures about Christchurch City Libraries. Carolyn Robertson took up her appointment as Libraries and Information Manager on 17 January 2005. In June 2015 there were the equivalent of 252 full-time people employed in the library network, including part-time and technical staff and service centres. 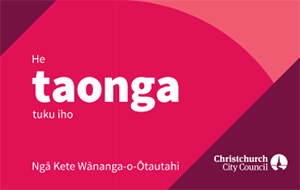 This is free to all Christchurch City Council ratepayers and residents. At the end of the financial year June 2015 there were 191,874 members. Apart from a charge for audio-visual material and the Bestseller Collection, all stock is free to borrow. Our basic reference service is free and we offer free computer and internet access. Each library has a wide range of resources including books, CDs, DVDs, audiobooks, eBooks, magazines, newspapers, maps and other materials. We subscribe to a wide range of online resources for study, research, personal information and entertainment. Unrestricted internet use and email are available free of charge on library computers or bring your own and use our free wifi. We have community libraries and mobile library services. There are network services teams supporting the libraries with everything from administration, events & programmes, stock purchasing and maintenance, buildings and facilities and technology. September Bishopdale library began operation. Central Library moved from corner of Cambridge Terrace and Hereford Street to its current location in Gloucester Street. October Sumner Library joined the Christchurch City Libraries’ network when the former voluntary adults’ library and the children’s library amalgamated. July An exciting new building for New Brighton Library opened. July Fendalton Library and Service Centre opened. August St Martins Children’s Library closed. August South Christchurch Library, Service and Learning Centre opened. January Upper Riccarton Community and School Library opened. 6 March Non-city membership fees are dropped for Banks Peninsula residents due to local government merger: Akaroa, Diamond Harbour, Little River and Lyttelton Libraries join the network. 5 August Christchurch City Libraries celebrates 150 years of Christchurch libraries. Internet access become free. 8 July After the earthquakes and the closure of Central Library, Christchurch City Libraries opens temporary library at Central South City. 19 December Temporary library Central Library Peterborough opens. July South Library and Beckenham Service Centre closes due to earthquake damage. 15 July Temporary Central South City library closes. 23 July After the earthquakes and the closure of Central Library, Christchurch City Libraries opens a temporary Central Library Tuam. 8 September New library at Aranui opens. 3 December Mobile "Library to Go" vans start service. December South Library and Beckenham Service Centre re-opens. January Demolition of Sumner Library due to earthquake damage begins. 30 April Linwood Library and Service Centre at Eastgate opens. 1 November Central Library Tuam closes. 20 January A temporary Central Library Manchester opens. 28 November The Te Hāpua: Halswell Centre opens. 30 January Lyttelton Library closes for earthquake repairs. 15 February Temporary Lyttelton Library opens at Trinity Hall in the Lyttelton Recreation Centre. 22 February Groundworks begin on the new Central Library site. 25 July Construction work begins on new combined library, community centre and museum at Nayland and Wakefield St corner, Sumner. 1 August New Brighton Library closes for earthquake repairs. 15 August Temporary New Brighton Library opens at 60 Brighton Mall. 26 October First concrete pour for the foundations of Tūranga (new central library). 29 January Temporary New Brighton Library closes at 60 Brighton Mall. 13 February New Brighton Library reopens. 13 March Lyttelton Library reopens. 22 July Ōrauwhata: Bishopdale Library and Community Centre opened on Saturday 22 July 2017 on the site of the former Bishopdale Creche. 19 August Matuku Takotako: Sumner Centre opened at 37 Nayland Street. 18 August Central Library Manchester closed for good at 5pm on Saturday 18 August. View photos of Central Library Manchester (it was open from Monday 20 January 2014 to Saturday 18 August 2018). 26 August Central Library Peterborough closed for good at 5pm on Sunday 26 August. View photos of Central Library Peterborough (it was open from Monday 19 December 2011 to Sunday 26 August 2018). 12 October Tūranga, the central library at 60 Cathedral Square, opened at 1pm. View photos of Tūranga's opening day. 17 November Parklands Library closed for repairs, and is scheduled to open in April 2019. The Mobile Library will visit Tuesdays (10am to noon), Wednesdays (3pm to 5pm), and Saturdays (10am to 2pm). Find out more. 4 March Fendalton Library closed for repairs until 29 July 2019. Find out more about services and relocations during the closure. The libraries are linked by the SirsiDynix Symphony library system. Customers have access to stock information via computer catalogues in our libraries and through our website. 19 June Online Public Access Catalogue released inside the library. 7 June Internet access and pages on WWW launched at www.ccc.govt.nz/library/. 1 November Dial-up access to catalogue introduced. 9 June Web1 interface to catalogue introduced. 22 – 29 July Te Reo navigation and ‘core’ pages launched for Māori Language Week. 13 November Sirsi Unicorn Library system replaced DRS. 4 January Redesigned web site launched: wayback machine - library.christchurch.org.nz March 2006. 5 April Wireless internet access launched at Central Library. 22 May Christchurch City Libraries blog is launched, with the first posts from the 2007 Auckland Writers and Readers Festival. Here is our first post. 7 June Bibliofile blog is launched, with the first posts coming from a conference in the United Kingdom on joint school/public libraries. June - September Pharos system introduced for library PC booking and printing / copying charging. 14 June Moved website domain from library.christchurch.org.nz to christchurchcitylibraries.com: wayback machine christchurchcitylibraries.com June 2008. August Christchurch City Libraries joins Flickr. January http://library150.com/ goes live to celebrate 150 years of Christchurch libraries. 5 August Free internet access. 12 April Christchurch kids blog is launched. Read the first post. 15 September Christchurch City Libraries joins Twitter as @ChristchurchLib. January BiblioCommons catalogue is launched. March Christchurch City Libraries establishes a Facebook presence. 23 October Our Flickr site passes one million page views. 20 November CINCH moves to new system. 2 September Our Flickr site passes one and a half million (1,500,000) page views. 1 December Our main website moves to my.christchurchcitylibraries.com in a BiblioCommons' hosted content management system. October ThePulse website content is moved to a special Teens section on the new Library website. December ThePulse website is closed. 12 October Tūranga's Discovery Wall and website launches. For more information, read our brief history of Christchurch City Libraries.